A northern Manitoba First Nation that had been occupying the Jenpeg hydroelectric dam for six weeks will receive an apology from Premier Greg Selinger for the environmental and social harm caused by the project over the years. The Pimicikamak Cree Nation announced on Friday that it has reached a new process agreement with Manitoba Hydro and the provincial government that "aims to reset the relationship between the parties." Hundreds of protesters from the First Nation north of Lake Winnipeg, also known as the Cross Lake First Nation, marched to the hydro dam on Oct. 16. The generating station continued to operate during the occupation, but protesters wouldn't let anyone in or out. The new agreement sets out the process for addressing the First Nation's concerns about the ongoing impacts of the Jenpeg dam in the area. Jenpeg and allowed for normal operations to resume," the First Nation stated in a news release. The protesters called for a revenue-sharing agreement with Hydro as well as compensation for damages caused by flooding from the dam, which opened in 1979. 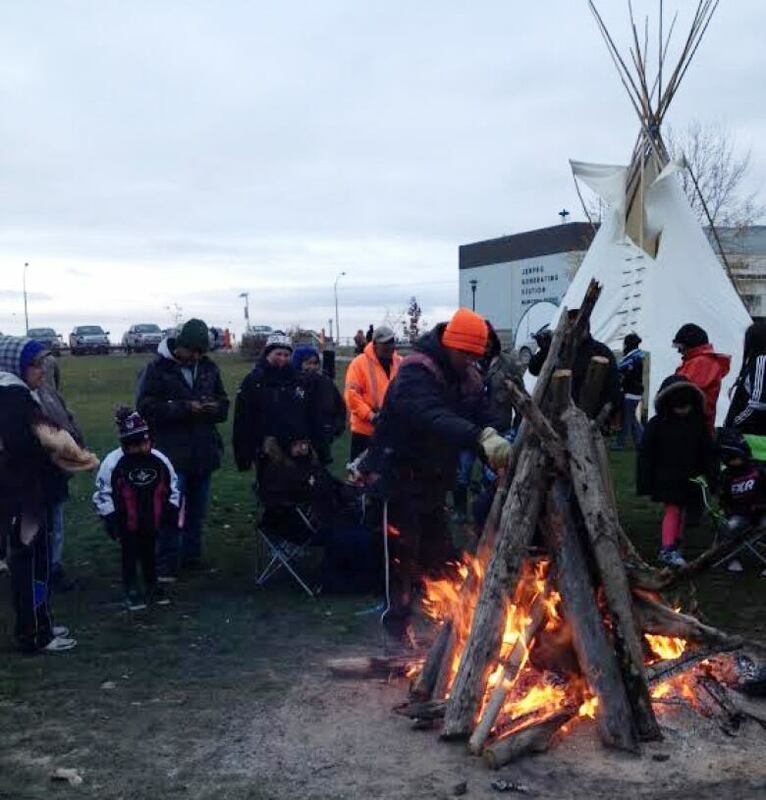 Protesters set up around a campfire near the Jenpeg generating station as part of their occupation at the site in mid-October. (Pimicikamak Occupation of Jenpeg/Facebook)They also wanted Selinger to visit and make a public apology — something that Eric Robinson, the minister responsible for Manitoba Hydro, says is due. "There was a disruption of a way of life," Robinson told reporters. "The economic life, the traditional economy was ruined for aboriginal people by hydro development to a large degree, and mistakes that were made in the past have to be corrected." As part of the agreement, Hydro and the province will consider a revenue-sharing partnership and water rental payments to the First Nation. Manitoba Hydro uses Jenpeg — located about 20 kilometres from Pimicikamak — to control outflows from Lake Winnipeg into the Nelson River. The hydro system floods 65 square kilometres of Pimicikamak land and causes severe damage to thousands of kilometres of shoreline, Merrick stated in a press release released when the protest began. Pimicikamak signed an agreement with the province in 1977, before the dam opened, but Merrick has said the Crown corporation and the provincial government haven't fulfilled their promise to eradicate the mass poverty and mass unemployment on the First Nation. Robinson, who is also the province's aboriginal affairs minister, called the agreement and Selinger's apology a "substantial deal." In the First Nation's news release, Merrick called the agreement "an important step toward restoring relations between Pimicikamak, Hydro and government. "I know our people will be watching closely for significant, on-the-ground results to be realized as soon as possible," she added. Below is the process agreement reached between the Pimicikamak Cree Nation, Manitoba Hydro and the provincial government. The First Nation released the document on Friday. ON MOBILE? Read the agreement here.